When you marry aesthetics and technology, environments speak volumes. Experiential design facilitates a reciprocal engagement between people and place. I work in physical and digital spaces that promote sharing of ideas across the human senses. DISCOVER How do you collaborate with florists, caterers, projection designers, musicians, and more to create unforgettable affairs at the world's largest performing arts center? DESIGN Event design is a soup-to-nuts, highly iterative process. I spare no detail, which span creating invitations to organizing room layouts, producing musical tributes to building museum quality installations. For each event, a space is transformed and an audience transported by visual design, cuisine, music, and interactive experience. DELIVER I have built silent discos on the Pier, intimate celebrations at the Rainbow Room, and award celebrations. In my tenure, I worked on 70 diverse projects across 15 venues, produced live televised programming, while raising tens of millions of dollars annually. DISCOVER How can we build electronic artifacts that acquire meaning from, interact with, and delight their users? DESIGN I had the opportunity to design a puzzle for Georgetown University's first-of-its-kind pedagogic escape room. Escape rooms dance the intersection of technology and critical thinking, and are elevated by feedback, teamwork, and the ever-slipping turn of time. They succeed by operating within the confines of a system: objects, attributes, internal relationships, and environment. The puzzle required a core technical component that could be adjusted to any given theme the room might take on. I studied the semiotics of spatial discovery, team dynamics, and puzzle theory, and learned circuitry, Arduino coding, and basic woodworking/laser cutting. The project was a wonderful opportunity to combine dual interests in experiential learning and human-computer interaction. DELIVER The complete puzzle will be installed in Georgetown University's in-house escape room, for future educational use. The puzzle was highlighted in a recent interview by The Center For New Designs in Learning and Scholarship. You can read more about the puzzle in this quick start guide. DISCOVER How can a world come alive onstage and challenge an audience think in new ways? DESIGN As a theater director and designer, I worked with creative teams to build evocative relationships out of blackbox stages and outdoor spaces. The design approach is holistic and empathetic, employing sound, lighting, and thoughtful choreography to paint the fullest picture and emotion. DELIVER In nine full-scale productions and numerous workshops, readings, and happenings, we transported audiences to fair Verona, Wonka's Chocolate Factory, Katrina-torn New Orleans, and suburban outer space. DISCOVER How can interactive technologies invite viewers into a playwright's relationships with work, family, and self? DESIGN Developed from research on Williams' complicated life, the installation invited audience members to explore his workspace, reading narrative and exploring familial imagery and lineage. I worked with collaborators to design, construct, and wire the interactive space. DELIVER The installation premiered at The Tennessee Williams Centennial Festival, a celebration of his work and legacy across multiple mediums. 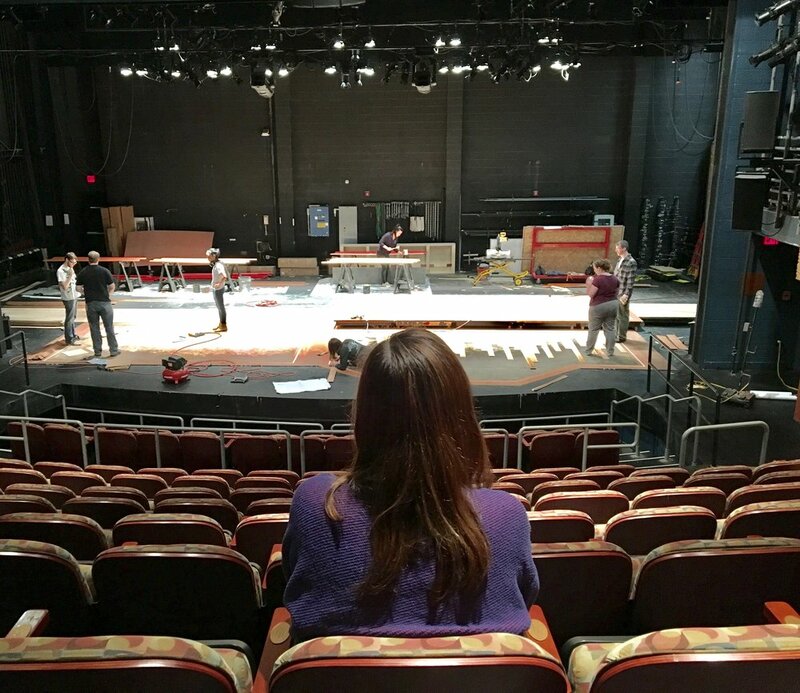 After a month residency at Georgetown University, the installation moved to Washington's Arena Stage.